Wind turbines capture the wind’s energy. Propeller-like blades or similar purpose structures mounted on a rotor turn the turbine creating Direct Current (DC) which is converted into Alternating Current (AC) for use. The large turbines are usually mounted on towers about one hundred feet in the air where the wind is more consistent. The turbines can be stand alone or be grouped into farms for direct connection to the electric grid. As part of green building practice, the small turbines are now being integrated and sometimes paired with solar systems to serve regular commercial buildings, agriculture, residential and mobile use. Forty-six of the fifty states contain wind resources suitable for commercial development, although only fifteen percent of the country has excellent wind. Total installed U.S. wind capacity at year's end 2012 was 60,007 MW, or enough to serve about 15.15 million average households. New, larger wind turbines (from 1 to 5 megawatts per turbine) generate more than 120 times as much electricity as 1980's models, at one-sixth the cost, and with much more reliability due to substantially improved gear boxes. New technologies will further increase efficiency and reduce cost. Our Company can supply, install and maintain current products. Harnessing the movement of water has been around since the first millennium in England and France, when mills transferred the energy in river water to grind grain. Tidal systems make use of the energy of moving water to power turbines, in a similar way windmills use moving air. 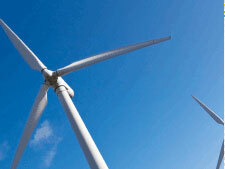 Several new companies in Canada and Europe are now bringing a new generation of turbines to market. These turbines are efficient, cause a minimum of ecological disturbance, and are clean. Each will be able to generate enough electricity per 18-20 hour day into the electric grid to power 1000 homes. They can also be constructed and installed faster and cheaper than traditional fossil fuel or nuclear plants. Wave generation systems use a variety of technologies. Several use tethered buoys that react to the constant movement of waves to generate electricity. At least one system uses the movement of water through a generator placed on the sea floor. The wave systems all require more generators, with their attendant tethers, wires and other equipment, to generate the same electricity as one tidal unit. 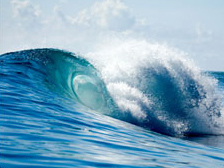 All of the wave systems present more environmental issues than the equivalent power from one current tidal generator. Our Company is developing affiliate agreements and will offer the technologies of these affiliated partners upon customer request at locations that have a proactive approach toward such opportunities.